Located only a few minutes away from the finest neighborhood in Rio: Leblon, and the paradisaical Ipanema beach, Vidigal is a pacified favela known for its premier location. This embracing and good-hearted community accommodates a variety of restaurants, bars, shops and parties. 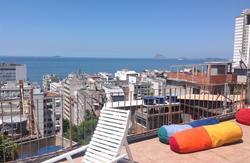 If you are looking for an adventure, or just a cool place to relax, we are certain that Vidigal is the place for you. A first-rate concierge that is ready to attend to all and every needs you have. We will be more than happy to show you what’s best around the city. 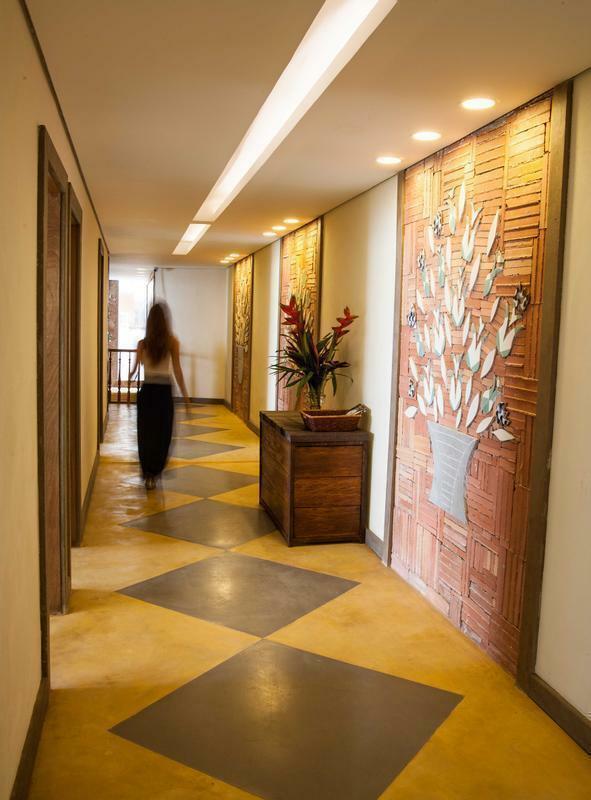 At Mirante do Arvrão, we are not only committed with giving you a memorable and comfortable experience in Rio, but also with preserving the environment. 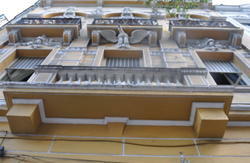 We take pride in saying that our hostel is self-sustainable and made with 100% eco-friendly materials. We also use solar energy to power our showers and a sophisticated sewage system to clean and reuse our dirty water. Whether you want to meet new people or enjoy some privacy, this is the place for you. We have rooms that will suit your preferences and make your stay even more pleasant and relaxing. Our four shared-rooms comfortably accommodate 5 to 12 people or get all the rest you need in our comfortable, boutique-style private rooms. 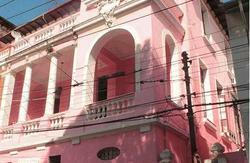 The Hostel is located on top of Vidigal, so you have the option of either taking a van or a mototaxi up. All you have to say is: Arvrao and you will get there!